As the holiday season draws closer, your customers are likely making travel plans to visit friends and family in the coming months. In addition to holding holiday promotions, your business can build brand loyalty by being a helpful resource during the popular travel season. 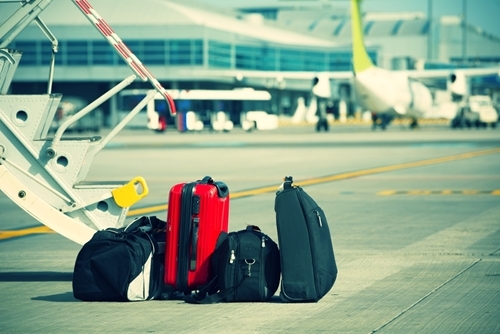 Use these methods to help your customers make the most of their seasonal getaways. One way to get customers to visit your website or social media pages during the holidays is to post useful information about traveling. Charlie Nadler, a marketing strategist for Simple Machines Marketing, explained on Care.com that good content can drive traffic and leads. “Businesses can create strong visibility during the holiday season with topical content creation,” Nadler said. You can post packing tips, guidelines for getting through airport security or a how-to on creating a road trip survival kit. There are lots of different topics that you can write about from experience or by doing a little research. Be sure to share your articles on your different social media sites to ensure people see it. Another method of connecting with customers during their holiday travels is to hold themed giveaways or promotions. You can put together one big travel basket or hand out lots of little prizes. Some inexpensive gifts you can use for small giveaways include Customized Vibra Luggage Tags or Budget Shopper Tote Bags with Logo. Have customers sign up for your newsletter in exchange for an item or run a coupon in the local paper for a free gift with purchase. If you want to have a bigger giveaway, consider items like a Promotional King of the Road Travel Bag, a Newport Promotional Tote and a Tuscany™ Duo-Textured Luggage Tag. A gift basket with these items would be perfect to give away on social media or in your brick-and-mortar store. Ask your customers post their travel destination and share the post to enter. Alternatively, your company can send out greeting cards to your dedicated clients, wishing them well on their holiday travels. The U.S. Small Business Administration explained that traditional cards are more likely to get noticed than electronic ones. Have your employees sign the cards and mail them out a week or so before Thanksgiving. It’s a small gesture that will show your business values its customers and their well being. It will also ensure that your company stays in the front of people’s minds as they do their holiday shopping. Customers agree: Myron boosts business!